A number of measures exist to protect tenants from the myriad issues they may face in a housing crisis, and which we explore on this website—from skyrocketing rents to unsafe housing conditions to displacement. The most prominent are: rent control, just cause eviction protections, and support services for tenants, such as legal aid and rental assistance. There are two main arguments for tenant protections. The first is that they help redress the power imbalance between landlords and tenants in a housing market, particularly one as tight as ours in Santa Cruz and coastal California. Such a “scarcity market” works to the benefit of landlords who, facing no real competition, can receive “monopoly rents,” setting prices artificially high and gaining windfall profits. Landlords—especially large owners, investors, and property managers— benefit further from powerful and well-funded trade groups like the California Apartment Association, who advance a real estate-led agenda with elected officials and through expensive marketing and PR campaigns, both locally and statewide. In this highly unequal political and economic environment, tenant protections help even the playing field somewhat. Another main argument is that, by preventing rent gouging and unexpected rent-hikes for tenants, rent regulations help create more affordable, stable, diverse, and economically and environmentally healthy communities over the long term. These benefits accrue to tenants and landlords alike. The main argument against rent regulations is based on the premise that, left unregulated, rental housing is bought and sold in a well-functioning market governed by laws of supply and demand. According to this view, high profits for landlords and higher turnover of tenants will trickle down to lower rents and create more availability, while rent control only serves to reduce supply and drive up prices. Yet this ideal market doesn’t match what we see in the housing market. Under a “free market” in Santa Cruz rents have gone up 52% in four years (far more than the 12-16% percent in rent controlled markets over the same period). It also disregards the benefits – social and economic—that having stable tenants and communities provides, as well as the costs of displacing tenants and disrupting communities. Finally, there are inherent limitations of rent regulations, which supply-side arguments elide. Namely, rent regulations are not designed to address the problem of affordable housing supply, nor are they capable of doing so. Thus blaming rent control for lack of supply makes little sense. 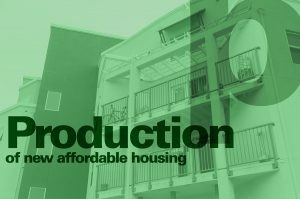 Rather, as we argue in the Policy Tools section, a comprehensive approach is required to ensure that vulnerable tenants are protected while at the same time a sufficient amount of affordable housing is both produced and preserved. What are rent review boards? What are just cause eviction protections? What support services exist for tenants? Who would be covered by tenant protections? Proposition 10, on the California ballot. Rent control and rent stabilization ordinances protect tenants from excessive rent increases, while allowing landlords a “fair return” on their investments. Such ordinances limit rent increase to certain percentages, but California state law allows landlords to raise rents to the market rate once the unit becomes vacant. Beyond the above two features, rent control measures may be “stronger” or “weaker.”  For instance, rent control may or may not also include restrictions on the pricing of new construction, just-cause eviction protections, requirements that landlords petition to exceed rent limits, and the use of “rent boards” to handle petitions and register units with the city. Just cause eviction statutes are laws that allow tenants to be evicted only for specific reasons. These “just causes” can include a failure to pay rent, violation of the lease terms, chronically late rent payments, and the intention of the landlord to occupy the unit themselves or rent the unit to an immediate family member. The notice required for each just cause reason may vary. Organizations may provide pro-bono tenant support services, including tenant legal defense, rights outreach, and/or emergency funds to stop evictions or help with relocation. These services may be provided by a city or county, whether through their public attorney’s office or through a contract with legal aid or social service agency. [e.g. : Berkeley Housing Retention Program; Oakland City Attorney] They may be provided by independent legal clinics or agencies. Or they may be offered through Rental Boards. Rent control and stabilization apply to tenants in non-subsidized rental units—i.e. not in public housing or units accepting housing choice vouchers (also known as Section 8). Eviction protections, as well as legal aid and financial assistance, apply to tenants in subsidized and non-subsidized units alike. Most forms of tenant protection are governed at both the city and state level, while federal guidelines can apply to federally-subsidized units. 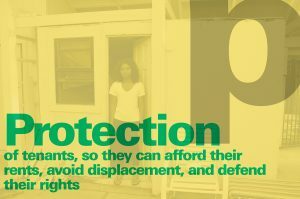 [For more on federal laws protecting tenants, see https://tenantsunion.org/en/programs/section-8-tenants-organizing-manual]. In California, local rent control measures and eviction ordinances are limited by the statewide law Costa Hawkins. to exclude all single family homes and units built after 1995. This would change should Proposition 10, the effort to repeal Costa Hawkins, is passed in November. If both Santa Cruz rent control ordinance Measure M and California Proposition 10 are passed by voters this November, rent control will apply to nearly all rental units in Santa Cruz. However, even under Costa-Hawkins, about 6,000 Santa Cruz units, or 34,000 people, will be covered by rent control – or more than half of the Santa Cruz population of 60,000. Nearly all rentals will be covered by Just Cause protections in either case. The people most likely to benefit from these regulations will be those who are hardest hit by the rental housing crisis: low income renters, families, students, and people of color. The goal of rent control and other tenant protections is, in the short term, to prevent housing costs from spiraling out of control, bring fair and predictable returns to landlords, and keep families and low to moderate income residents from being forced to leave their neighborhoods. Over the longer term, the goal is to help create more affordable, stable, diverse, and economically healthy communities. 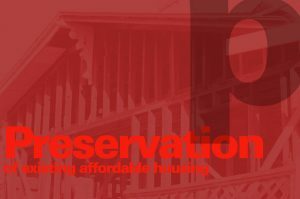 Affordable housing practitioners and scholars concur that, when applied with other housing policies geared to production and preservation of housing, rent regulations accomplish these goals. See our rent control bibliography for recent studies addressing the California case. The most common critique of rent control has been dubbed the “Econ 101 argument.” Many economists argue the rent control impedes the otherwise smooth functioning of the housing market – much like regulations in other markets do. In the ideal free market there is perfect competition: everyone is free to buy or sell at the price they choose or go somewhere else. Further, it is believed, profits “trickle down,” in this case from landlords to tenants in the form of lower rents and greater availability of housing. On the other hand, by limiting landlord profits and power, rent control creates a disincentive for landlords and real estate investors, which results in reducing housing quantity, quality, and affordability. Many housing practitioners and scholars—including economists—refute this argument, the premises on which its based, and the idea that there is consensus of economists on the subject. Our local housing market is best described as a “scarcity” or “captive” market, not a free market. Prices can be set artificially high due to landlords’ monopoly on a small supply of units, with no competitive or demand side pressure compelling them to reduce rents, and with landlords potentially earning windfall profits. Far from free, tenants having no recourse but to pay inflated rents or be forced out, and should they leave, face major hurdles in finding new affordable housing. The search can take months and require them to move far away from local jobs, schools, and social networks. For vulnerable populations and those on fixed incomes, like seniors, this can lead to homelessness, health consequences, and even death. When markets fail, benefiting only a fortunate few, we as a society lose. Thus we have historically seen the need to step in to regulate markets, such as antitrust laws in the 1930s that took on monopolies, or living wage laws in the 2000s that sought to slow escalating inequality. The growing political and economic imbalance between landlords and tenants holds a similar peril for our society. We cannot rely on market forces to provide balance. Rather we need comprehensive policy remedies—including tenant protections— to keep our families, workers, seniors, and students in their homes. There is no evidence that landlords pass on their increased profits to tenants. To the contrary, the period of greatest rent increase in California, the Bay Area, and Santa Cruz, has also been a period of unprecedented profits for landlords. Profits in real estate are often measured in terms of “net operating income” [NOI]. In the last decade, both NOI and rents in Bay Area and Santa Cruz has risen in tandem. According to the National Apartment Association, these levels are now the highest in the United States. The anti-rent control argument begins with the assumption that rent control discourages new construction, a claim that seems logical at first glance. After all, since rent control puts partial limits on developers’ profits, doesn’t this cause them to divert their investments elsewhere? In fact, the historical an evidence for such claims is inconclusive at best. At worst, these claims are deeply misleading, given that there are any number of cities — New York City, for instance — whose largest building booms have taken place during times of strict rent controls. Further, in California, cities with and without rent control have similar levels of new housing construction. On the other hand, rent control helps to cool speculative real estate markets driven by large, out-of-town corporate landlords seeking to flip property. The latter distort markets for renters, first time home buyers, and mom and pop landlords. Mechanisms like rent-control as well as speculation taxes can help curb this kind of behavior. The view of professional economists on the subject of rent control has been distorted by the mistaken way the concept itself is commonly defined in the field. Lacking reference to literatures from urban and housing policy, planning, or law, economists commonly define rent control as, simply, a “ceiling on rents.” Indeed, freshman “Introduction to Economics” textbooks have for decades used rent control as a paradigmatic case of a price ceiling, or a ban on selling a product above a certain price, which, they argue reduce supply of that product, thus driving up prices. Generations of economics students —and faculty— have come to understand the policy in these terms. Similarly, the surveys of economists cited to establish consensus on the subject ask whether “a ceiling on rents reduces the quality and quantity of housing.” Defined in this way, it is not surprising that over 90% of economists typically agree. However, rent control as currently practiced is not a ceiling. In the U.S., rent control laws mandate “fair returns” on landlords’ investment. Landlords have constitutionally ensured rights to periodic increases in rent to cover operating and maintenance expense as well as cost of living increases, without unduly long delays or lags in these increases. In California, courts have understood these rights in terms of maintaining the income received in the past (Maintenance of Net Operating Income, MNOI), and keeping up with inflation. All cities with rent control in California are required by law to meet these standards. Their rights to do so have been defended in court time and again. More than a dozen cities in California have some form of rent control, including Alameda, Berkeley, Beverly Hills, East Palo Alto, Hayward, Los Angeles, Los Gatos, Mountain View, Oakland, Palm Springs, Richmond, San Francisco, San Jose, Santa Monica and West Hollywood. Of these, most measures were passed in the 1970s and early 1980s. They were backed by organized tenants and their allies, including many local landlords, labor unions, faith-based organizations, community groups, and elected officials, and influenced by tenant movements gaining influence nationwide at the time. Opposition to rent control also has a long history in California. Much of this has been organized by the California Apartment Association [CAA] and the California Realtors Association (CRA), representing landlords and real estate interests, together with local Chambers of Commerce, business coalitions, trade unions, individual landlords, and elected officials. Of the “three P’s,” these groups typically support Production. They argue the only way to address the housing crisis is through building new housing, and loosening zoning and land-use restrictions to do so, rather than regulating markets. Thus, these groups have sought to challenge local ordinances, as well as repeal or curtail rent control generally. One of CAA’s early victories was the “The Ellis Act,” a state law passed in 1985 that allows landlords who are “going out of the rental business” to evict tenants —often en masse—and take their buildings off the rent control rolls. In principal, this law can be used by building owners who wish to cease being landlords. In practice, it is commonly been used to “flip” rent controlled buildings, selling them to new owners at higher costs once long-term tenants are gone. Landlords have also been found to use the Ellis Act to harass tenants, i.e. : threatening them with eviction unless they leave, then decontrolling their units. In 1995, opponents of rent control had their most sweeping victory with the passage of Costa Hawkins. This law prevents rent control from being applied to single family homes or units constructed after 1995. It also allows for “vacancy decontrol,” through which owners can return units to “market rates” once a rent-controlled tenant leaves. Since its passage, the law has been very effective in both limiting the effectiveness of rent control and de-controlling thousands of units. Costa Hawkins was also a key part of a 2009 court decision, Palmer v Sixth Street Properties, which struck down a Los Angeles requirement that developers include affordable rental units in new apartment buildings as part of local inclusionary zoning laws. State courts sided with plaintiffs, saying that these rules violated Costa Hawkins by mandating lower rents for post-1995 units. This had the further effect of weakening inclusionary zoning laws state-wide. A bill signed by Governor Jerry Brown in September 2017, however, reversed this decision, restoring the ability of California cities and counties to compel developers to include affordable units in new rental projects. In 2008, an effort to overturn all forms of rent control in the state was rejected by voters. With the rapid escalation of the housing crisis in recent years, the political tide has begun to turn for rent control in California. New local and statewide coalitions, Tenants Together and Renters United Network, have formed in an effort to create a network of tenant organizations and build support for tenant protections both locally and statewide. Elected officials have become more sympathetic to the issue. There were early signs of this shift in November 2016, when new ordinances were passed in Richmond and Mountain View—the first in over 30 years—while Oakland and Berkeley also voted to strengthen their existing measures. The momentum continues to build, with over a dozen new local rent control measures across California being proposed or on ballots for November 2018. This includes our own Measure M in the City of Santa Cruz, put on the ballot by newly formed Mobilization for Housing Justice and Students Uniting Renters. as well as measures put on the ballot by tenant movements in Glendale, Inglewood, Long Beach, Mountain View (to defend rent control passed in 2016), Pasadena, National City, Pomona, Sacramento, San Diego, Santa Ana, Santa Rosa, and Unincorporated L A County. One of the most significant victories for pro-rent control movements was getting Proposition 10 to overthrow Costa Hawkins on the November ballot, after numerous effort in recent years failed. Rent control is “strongest” and most effective when paired with just cause evictions policies. Yet Costa Hawkins, primarily through the vacancy decontrol provision, limits the effectiveness of both policies. As was intended, throughout its 20-year history Costa Hawkins has helped erode the power and reach of rent control wherever it exists. The fact that there are so many rent control measures on the ballot statewide, despite Costa Hawkins, is another victory for the pro- movement. Yet it is far from sure these measures will pass. A recent poll out of UC Berkeley finds 60 percent of likely voters in Californians support rent control in some form. Nonetheless, the opposition is organized and extremely well-funded. Through lobbying bodies such as the California Apartment Association, landlords have sought to block tenant protections statewide, as well as any attempts to amend or overturn pro-owner legislation, spending billions to fight local and statewide measures. Whatever happens, the upcoming elections will be a watershed moment for rent control across the state. In what follows we briefly outline local and California-wide measures to introduce tenant protections that will be on the ballot in November, and provide links for more information. Rent Control, including limits to yearly rent increases in protected rental units. These limits will be tied to inflation, based on the annual increase in the Consumer Price Index for the SF Bay Area. Just Cause for Eviction, to strengthen tenants’ right to remain in their rental units. Current state law allows landlords unrestrained use of eviction as a tool to increase their profits, by resetting controlled rents to market rates when a new tenant moves in, or to retaliate against a tenant who asks for repairs or is involved in a dispute. Therefore, for rent control to be effective, it must be paired with protections that allow evictions only for specific, valid reasons. Just Causes for Eviction due to action by the tenant include failure to pay rent, violating the terms of the lease, engaging in illegal activity, creating a nuisance, denying access, or refusing to sign a new lease. If tenants are forced to move due to no fault of their own, such as in the event of owner move-in or removal of the property from the rental market, landlords are required to pay relocation assistance to the tenants, to help defray the costs they incur by their displacement. The California Tenants’ Rights guide distinguishes between two types of rent control policies: “Weak Rent Control” laws allow landlords to raise the rent generously, and even above the fixed amount unless a tenant protests to a rent board. These policies do not require landlords to register their units with the city. “Moderate-to-Strict Rent Control” laws require the landlord to “bear the burden of petitioning the rent board for an above-formula rent increase and of justifying the need for such an increase based on certain cost factors listed in the ordinance,” include a just cause evictions ordinance, and require landlords to register units with the city. Keating, W. Dennis, Michael B. Teitz, and Andrejs Skaburskis. Rent Control: Regulation and the Rental Housing Market (New Brunswick: Center for Urban Policy Research, 1998), 46. Beyond MNOI, fair-return standards can also include: cash-flow levels, return on gross rent, return on equity,, return on value, and percentage of net operating income. Dennis Keating, “Rent Control in California: Responding to the Housing Crisis.” Berkeley: Regents of the University of California, California Policy Seminar, No 16, 1983. Timothy L. Collins, “Rent Regulation in New York: Myths and Facts, Second Edition.” New York State Tenants & Neighbors Information Service, May 2009. Michael Mandel, “Does Rent Control Hurt Tenants? : A Reply to Epstein,” Brooklyn Law Review, vol. 54, 1267, 1268 (1989). Compare our policies to those of other bay area locations using The Urban Displacement Project at UC Berkeley’s interactive map.